For the better part of a century, drivers have had to choose between automatic and manual transmissions. While both can get the job done, transmission problems in Bethesda, MD that apply to one might manifest differently in the other. If you’re not a transmission expert, watch this video to learn about the debate between automatic and manual transmissions. You need your transmission so that the power from your engine can make its way to the wheels of the vehicle, giving you control over your car or truck. With a manual transmission, you will have to change gears on your own to operate your vehicle and maximize your efficiency. An automatic transmission uses a planetary gearset, and it does the shifting work for you. Neither option is objectively better than the other, so you should consider your driving style and comfort behind the wheel when choosing yours. Since the transmission is such an integral component of your vehicle , you should do your best to take care of it. Avoiding transmission problems in Silver Spring, MD helps extend the life of your transmission and your vehicle as a whole. Your transmission needs clean fluids to keep it cool and efficient, and your transmission mechanic can help if you have any troubles. Knowing what stresses your car or truck will also help you reduce your risk for problems and stay on the road. Continue reading for some quick tips on getting the most out of your transmission. Unless you change your fluid as necessary, you can expect to run into transmission problems. Transmission fluid keeps the transmission itself from overheating, which is absolutely essential for the functioning of your vehicle. If your transmission overheats, it can’t properly distribute energy from the engine to your wheels. A transmission fluid leak can be disastrous because the more fluid you lose, the hotter the engine will get, which turns into even more transmission fluid being burnt. Check your transmission fluid regularly to keep the fluid fresh and catch leaks while there’s still time to fix them. No matter how good you are, you’re never too good to see your transmission mechanic. A healthy relationship with your transmission mechanic is good news for your ride. Don’t make the mistake of thinking you should only see your mechanic when something is wrong, and instead schedule regular maintenance checkups to make sure everything is right. When you use your clutch, you decide how the transmission will send energy from the engine to the wheels. If you overuse your brakes rather than shifting according to your speed, you could be doing some serious damage to your transmission. Riding the brakes is a common problem for people who drive cars with manual transmissions, which makes it all the more noteworthy. Try not to hit the brakes (or gas pedal) too abruptly so your engine has time to acclimate. You have to take care of your clutch, or you’re going to have transmission problems in Silver Spring, MD before you know it. See your transmission repair service whenever it looks like a problem might be springing up, and don’t put your clutch under more pressure than you need to. Learn how to shift properly, don’t tow more than your vehicle can handle, and never use your clutch to stop when you’re driving on a hill. If you know you have some bad habits to break and you want to protect your car’s clutch, keep reading. The main difference between a manual and automatic transmission that a driver will notice is the way the vehicle handles. With a manual transmission, you’ll have to shift from gear to gear yourself. If you don’t know how to shift gears properly, you’ll end up with transmission problems. Many drivers fail to wait until the clutch is fully disengaged before they shift to a different gear. Even letting off of your clutch before you’re completely in gear can quickly damage your clutch, as this can cause everything from premature warping of the dampener springs to warping of the disc. Be careful when you shift, and make sure to do it fully to protect your clutch. If you picked out a heavy-duty truck specifically because you want to tow your ATVs or dirt bikes to the course every weekend, make sure you have the towing capacity you need for the job. Don’t attempt to tow more than your vehicle is capable of, or you’ll quickly burn out your clutch. Speaking of burnouts, peeling out from a stoplight will also wreak havoc on your clutch. Avoid these two problems to keep yours in shape. Using your clutch in place of the brake is typically not a good idea, and if you’re on a hill, it’s even worse. Instead of relying on your clutch, use your emergency brake when you’re stopped on a hill to prevent rollback so you don’t roll or blow out your clutch. Could your car be having transmission problems ? The signs of a transmission issue are not always as clear as other kinds of car problems you may have. One way to determine if your transmission needs attention is to let your nose be your guide. Certain smells can indicate that your car needs to be evaluated in a transmission repair shop in Rockville, MD. Transmission fluid can have a sweet smell when it leaks out of your car. If you notice a maple smell as your approach your vehicle, leaked transmission fluid may be the cause. On the other hand, if your transmission fluid is not leaking but rather overheating, you may experience a burning smell. The smell may occur while you are driving, or you may notice it outside of your car after you turn it off. Both of these issues indicate that a transmission specialist should check out your car to see if you need any repairs. Is It Bad To Engine Brake With A Manual Transmission? Engine braking refers to taking your foot off the throttle while you’re in gear. If you’re wondering what you can do to avoid engine and manual transmission problems in Rockville, MD , then watch this video to learn whether it’s bad to engine brake in a manual transmission. Engine braking works by creating a vacuum between the throttle valve and the engine which causes the car to slow down. As it turns out, it is fine to engine brake with a manual transmission and allow the engine to slow the vehicle down. On the other hand, it is not recommended for you to slow your car down by using the shock of downshifting or putting the car into a lower gear and then slipping the clutch. Are you wondering if you need transmission replacement in Rockville, MD after facing one transmission problem after another? If so, then keep reading to learn the answers to some common questions about this option. 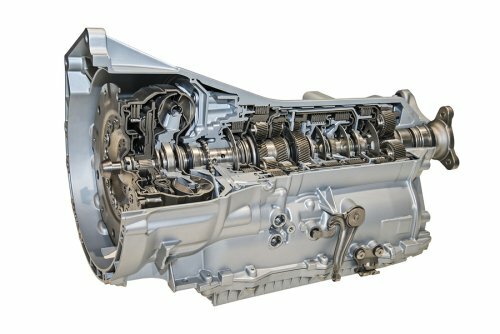 Should I rebuild or replace my transmission? It’s important to realize that rebuilt engines are not equivalent to brand-new ones. If you’re thinking about going with a rebuilt engine for your vehicle, then consider consulting a mechanic who is experienced with transmission repair before proceeding. Should I repair or replace my transmission? To learn the answer to this question, start by getting quotes for both options. If the cost of repair is more than half of the cost of replacement, then it’s time for you to consider getting a new transmission. Is transmission replacement a better option? If you’re still unsure if transmission repair or replacement is the right choice for your vehicle, then think about your goals. Replacing your transmission may help you get back on the road sooner and is a better long-term solution than repair. Repair can be more affordable, but you may end up paying more later if your transmission continues to run into problems. Will transmission replacement fix overheating? If your car is suffering from frequent overheating, then the cause of this may be an old transmission. Newer transmissions tend to run cooler than old ones, so replacing yours may offer you a solution to overheating. My new transmission fluid is brown. What’s wrong? Although you can’t pinpoint the problem from the color of the fluid alone, you can be sure that if your transmission fluid is brown despite being replaced recently, then something is probably wrong with your transmission and replacement may be a good idea. Where should I go to get a new transmission? The ideal place to take your vehicle for transmission replacement is a shop that specializes in transmission work. 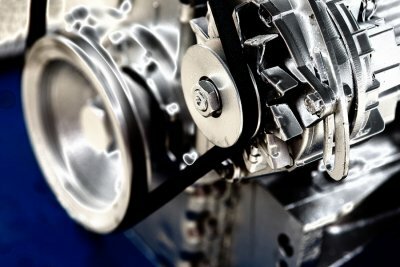 There can be challenges associated with transmission repair and replacement—such as variances between transmission models, the availability of unique parts, and the computer technology that some newer transmissions have—that general mechanics aren’t equipped to handle. 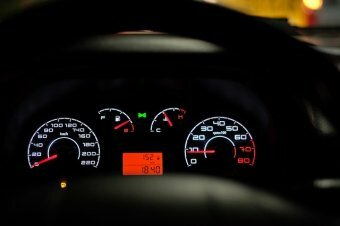 Engine Braking with a Manual Transmission: Is It a Bad Idea? When you are operating a vehicle that is equipped with a manual transmission, it is critical to keep some essential driving tips in mind. This video demonstrates the do’s and don’ts of driving a manual transmission . If you tend to rest your hand on the gear shift or keep your foot hovering on the clutch, you may be accidentally causing transmission problems in your car. A shop that offers transmission repair in Bethesda can help to solve any transmission issues that may be affecting your vehicle’s performance. From rebuilt transmissions to minor repairs, your transmission shop will be equipped to provide you with a complete range of services. If your driving habits have caused transmission problems in your manual vehicle, a team of repair experts will be happy to restore your car’s performance and driving abilities. Transmission problems can quickly put a halt to your driving plans. While minor transmission problems can typically be repaired without major services, more critical issues may require a fully rebuilt transmission. Transmission replacements can require significant amounts of time and money. More importantly, having your transmission rebuilt means that you will be without a vehicle for the time that your car is in the shop. Fortunately, your transmission shop in Silver Spring can provide you with routine services that will help you avoid needing a transmission replacement in the first place. To avoid serious transmission problems, take the time to have your vehicle regularly maintained by a transmission repair expert. During your routine services, your technician will examine the quality and performance of your transmission’s many working components. Additionally, your technician will also be able to suggest the proper timing for your transmission fluid flushes. With routine maintenance appointments, you can keep your transmission running great, without the need for a major replacement service. Experts in Bethesda & Rockville, MD for all transmission services, repairs and replacements. Superior Transmisisons in D.C. Metro Area. ©2018 All Rights Reserved.